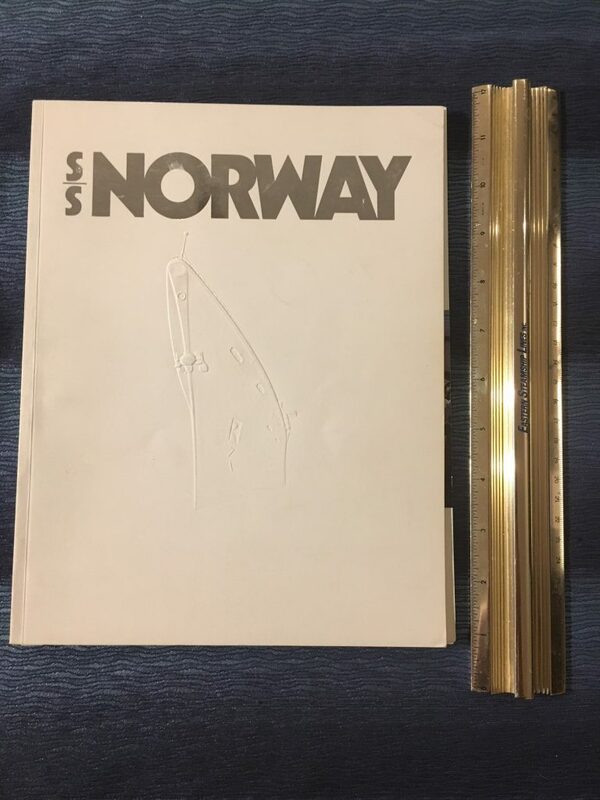 NCL: Norway “Builders book” Signed by the author JM Graham. Nice copy of the “The History of the Norway” ... the book that was created for the Introduction of the Norway after her initial reconditioning from the beautiful France. The book is filled with extensive color photos that cover the reconditioning process, France history, new interiors and her initial calls at Oslo and New York. It looks like a few of the pages at some point came loose and were repaired. Also there is large scuff to the back cover, it is also signed by the author John Maxtone Graham. Great reference book.